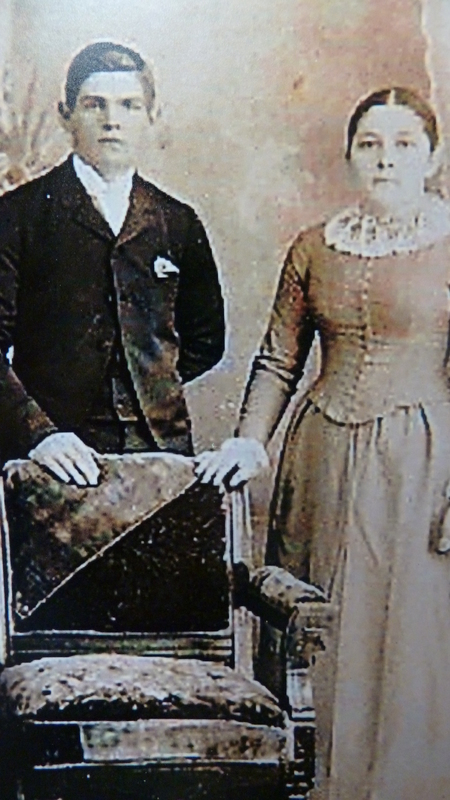 Married at ages 11 and 14. Child brides. Where? Some far off place like India? Afghanistan? Sure, but also here in the U.S. not far from where I live, and not that long ago. Earlier I wrote about Peggy Shifflett’s fascinating book, The Red Flannel Rag: Memories of an Appalachian Childhood sharing the traditions, folk lore and cultural differences among the people of a certain “hollow” near where I live, Hopkins Gap. I was eager to read her second book focusing on the food traditions and actual recipes from her extended family—filling in the gaps of my own knowledge of southern Appalachian cooking. I’ve picked up varying tidbits from my husband’s family who hail from Bergton, Va., Tuscaloosa Ala., and from a year I spent near Hazard, Kentucky. 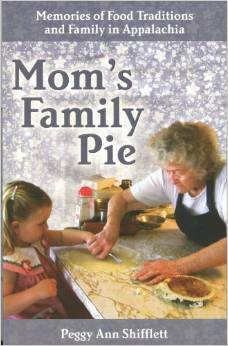 Shifflett’s book is called Mom’s Family Pie: Memories of Food Traditions and Family in Appalachia. Peggy is a retired professor of sociology at nearby Radford University. I can’t begin to cover all the recipes and experiences she covers in her 344-page book. 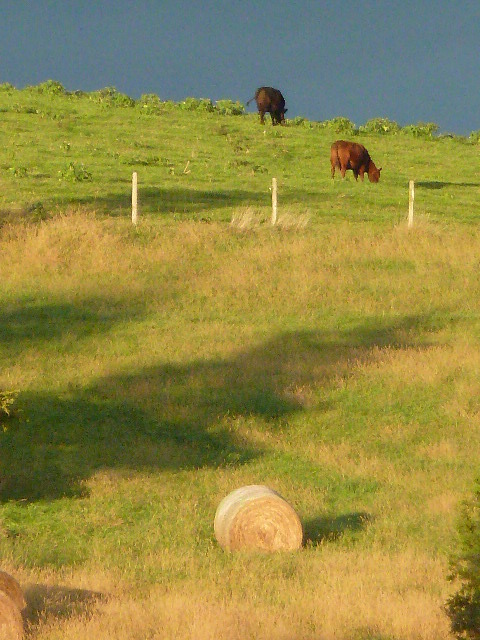 In some ways it reminded me of Barbara Kingsolver’s classic, Animal, Vegetable, Miracle: A Year of Food Life. We meet the family and the typical Appalachian homestead of the 40s and 50s, the cooks, the tools used (woodstove and wood), the milk cows and various products they provide (homemade butter, clabber—like sour cream), the springhouse where such items were stored before widespread refrigeration, gardening, preserving (making sauerkraut, what a production! 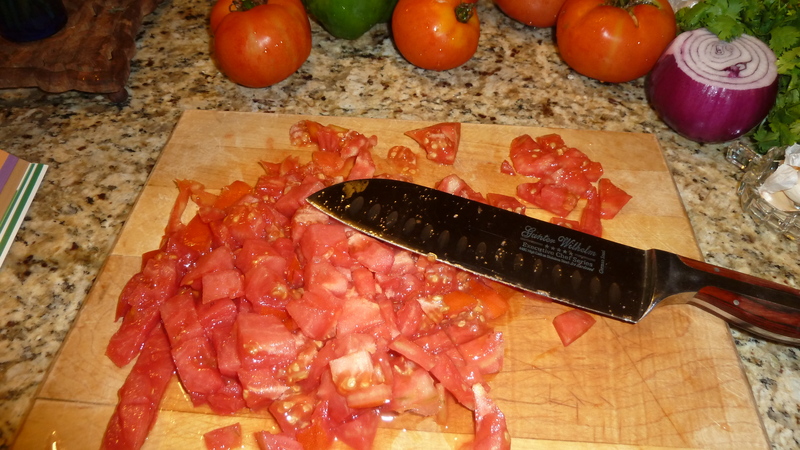 ), butchering, making apple butter and more. 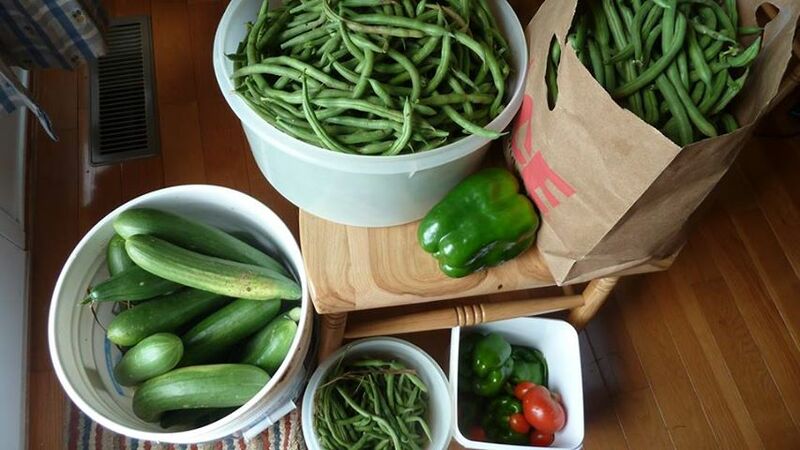 They were almost self sufficient—a goal for those today who are into homesteading or backyard farming. Even making their own spirits, (moonshine), covered more extensively in her other book. But here cooking with a woodstove was the first major item that captured my attention, having watched and tried to learn from my brother-in-law as he demonstrated how to master this fine art at his mountain cabin. It is no wonder cooking temperatures are not given in some old recipes which folks have tried to write down. Unless you use a thermostat with your wood stove, you cook according to the area of the stove where you set your pan or skillet, and according to the type of wood you use: some wood is great for quick hot fires, and other is better for the slow and steady heat needed for baking. According to Shifflett this is a fine skill learned with practice and over time—there is no way to pick it up from a book or blog, but her mother apparently shuffled that pan around with the ease and expertise of a gourmet chef. Shifflett says at one point that her mother stood in front of that stove practically her whole life, as she never worked away from home. Shifflett says her mother, Myrtle, and her Aunt Ethel were widely regarded as the “two best cooks in Hopkins Gap” and some even extended that to the Shenandoah Valley and added “damned” to the description (two best damned cooks). I’m sure there are plenty of others who wore that title informally, but Shifflett’s love and admiration for her mother’s hard hard work shines through the whole book: Myrtle would start a fire before dawn in the cookstove; head to the barn to milk cows (always her chore); put three hot meals on the table each day; grow, harvest and preserve most of the food her family ate in a year, including the meat; and often stay up to finish up chores and clean the kitchen one final time after the rest of the family had gone to bed (her mother couldn’t stand to wake up to a messy/dirty kitchen). This is the pattern of millions of women the world over who still work this hard to feed families. Especially at this season of the year. But there was great pride in all this work and food production, and a compliment over the food would likely bring on more of it. I chuckled about an aunt who fixed Shifflett a sandwich one day of sausage, dill pickle and mustard. Peggy raved over the sandwich. “To this day, every time I go to visit Aunt Ethel, she fixes me a sausage sandwich with mustard and dill pickles. She had been doing this for over 40 years.” (p. 32). That these women lived as long as they did was no mean feat. A generation earlier, Peggy’s grandmother, and Peggy’s great aunt (mothers of these famous cooks, Myrtle and Ethel) married at age 14 and 11, respectively. Eleven. A child bride, not even a teenager. Of course they began having babies right away. “It was very common for couples to have between 8-12 children. Both of these women died young: 35 and 37, respectively—one several months after giving birth to her 18th child” (from the book, p. 32-33). Again I think of women around the world who still today marry early, have a ton of babies, and die young, working hard the whole while. This was not so unusual here in the U.S. just 3 generations back from me. My grandmother’s mother died when she was just five, leaving her an orphan; again, very common. Grandpa and Grandma Miller’s wedding picture, she was just 17. Peggy Shifflett has provided an admirable, if plainly written, history of those earlier times. I’ll follow up with one more post talking about traditions and origins for some of the recipes and ways of cooking she shares which are familiar to many of our grandparents and parents. How old was your grandma or great grandma when she got married? What food traditions do you remember her talking about? Was there a food your grandmother or other relative you loved that they always fixed for you? My maternal grandmother, Magdalena, was 22 when she got married. She met my grandfather, Ruedi, when she was 19 and he was building a new house for her parents. He worked for his father but he really wanted to work on his own, so even though her parents approved of the two courting, he wanted to wait until he had his own business. Well, apparently that was taking awhile (and per my mother, he and his father did not get along well) and my grandma was getting impatient so her parents offered him the use of an old shed on their property to use as his office/workshop. His father was a housebuilder…but my grandfather also wanted to do more in the area of woodworking and cabinet making. So he set up his own business, still helped with the house building business with his father and brothers and uncles, but started his woodworking shop. They married and had 10 children. Just in case you find this interesting, I will add this…when I was in grad school my mother and her siblings were trying to decide what to do with their father’s workshop…he had passed and none of the children wanted to take on as more than a casual hobby. They all were full time in farming and other occupations. So they decided to advertise the business for sale, all the equipment. They sent notices out to lumber yards and hardware stores…they figured carpenters would be informed. This was before the days of the internet, naturally. Well a just turned 19 year old young man, working in a lumber yard in NW Wisconsin saw the ad…it was a dream come true! He had only moved to WI a few years earlier with his parents and 7 siblings. His parents had bought a grocery store and he was not interested in working there…he had always wanted to build things. So he and his parents drove over to see the items for sale. Well they saw the workshop and wondered what would happen to it…it would probably just sit empty, it wasn’t needed, they were told. Hmmm said the father, could we negotiate for the building also? Sure, said my relatives, but we can’t sell as is part of a family trust, but you are welcome to move here and work out of it, there is an apartment above the garage by the house. (I picture little happy dances being done by all 🙂 So family agreement was made right there and then. I came up from school the next week to visit and was introduced to young Levi. Can you guess who Levi is now? Thanks for the detailed examination of the new Peggy Shifflett book. She seems to have written some of the best Shenandoah Valley memoirs, with real insight into the Appalachian culture. Stuart really enjoyed her first book. You make great points about the hardship and endurance in the lives of so many women then and now, in this country and in other countries. Makes me think of the Foxfire books. My mother gave me those books over the years…I think I have all but the last. The books are rich in detail and the insights are low key and understated. At certain points you can tell she can hardly help having a say about the inequities between accepted roles of women and men, but she doesn’t preach. I forgot to answer the food part of you question….it would be fruit kuchen. I have her handwritten recipe card with its very scanty directions. It’s a sweet baking powder dough that you pat into a pan, top with whatever soft fruit you want (raspberries, blackberries, plums, blueberries, sweet cherries, peaches or nectarines, or combos of these fruits. Top with struesel is sugar, cinnamon , flour and butter. Bake. It can be a coffee cake or dessert or snack…I make it weekly at least in the summer. Kuchen — is that Pa. Dutch or German? Sounds very good and easy. But wow, once a week! Impressed!